A 529 savings plan is an individual investment account, similar to a 401(k) plan, where you contribute money for college or K-12 tuition. To open an account, you fill out an application, where you choose a beneficiary and select one or more of the plan's investment options. Then you simply decide when, and how much, to contribute. 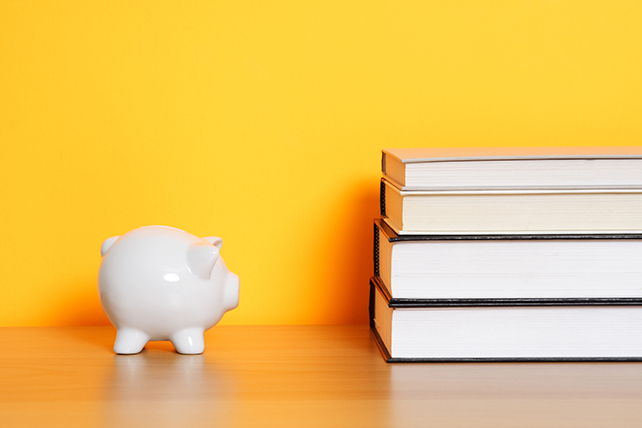 A 529 prepaid tuition plan lets you save money for college, too. But it works quite differently than a 529 savings plan. Prepaid tuition plans are generally sponsored by states on behalf of in-state public colleges and, less commonly, by private colleges. For state-sponsored prepaid tuition plans, you are limited to the plan offered by your state. Only a handful of states offer prepaid tuition plans. The most common type of prepaid tuition plan is a contract plan. With a contract plan, in exchange for your up-front cash payment (or series of payments), the plan promises to cover a predetermined amount of future tuition costs at a particular college in the plan. For example, if your up-front cash payment buys you three years' worth of tuition at College ABC today, the plan might promise to cover two and a half years of tuition in the future. Plans have different criteria for determining how much they'll pay out in the future. And if your beneficiary attends a school that isn't in the prepaid plan, you'll typically receive a lesser amount according to a predetermined formula. The other type of prepaid tuition plan is a unit plan. With a unit plan, you purchase units or credits that represent a percentage (typically 1%) of the average yearly tuition costs at the plan's participating colleges. Instead of having a predetermined value, these units or credits fluctuate in value each year according to the average tuition increases for that year. You then redeem your units or credits in the future to pay tuition costs; many plans also let you use them for room and board, books, and other supplies. Investment flexibility: With a 529 savings plan, while you can choose among a variety of investment portfolios offered by the plan, you can't direct the portfolio's underlying investments. And if you're unhappy with the investment performance of the portfolios you've chosen, you can only change the investment portfolios on your existing contributions twice per calendar year or upon a change in the beneficiary. (However, you can also do a "same beneficiary" rollover to another 529 plan once per calendar year without penalty, which gives you another opportunity to change plans and investment options.) With a 529 prepaid tuition plan, you don't pick any investments — the plan's money manager is responsible for investing your contributions. Nonqualified withdrawals: If you use the money in your 529 plan for something other than a qualified education expense, it'll cost you. With a 529 savings plan, you'll pay a 10% federal penalty on the earnings portion of any nonqualified withdrawal and you'll owe income taxes on the earnings, too (state income tax and a penalty may also apply). With a 529 prepaid plan, you must either cancel your contract to get a refund or take whatever predetermined amount the plan will give you (some plans may make you forfeit your earnings entirely; others may give you a nominal amount of interest).